Woody Allen's family scandals have been in the news quite a lot these days, with the resurfacing of accusations of child molestation by his adopted daughter Dylan dating from the time of his messy separation from Mia Farrow in 1992, brought on by revelations of his affair and subsequent marriage to one of Mia's other adopted older children, Soon Yi Previn. I'm not sure the tangled mess of the Allen-Farrow family can ever be adequately sorted out by outsiders as to what actually happened, or if that even matters to anyone not personally connected to that scene. What interests me is the discussion about Allen's art and philosophy of life that it has provoked, and in particular the significance of Allen's own deeply held views about the meaning of life, or the lack of same, and how that is reflected back and forth between his life and his art. I don't know what did or did not happen between Woody Allen and Dylan Farrow more than 20 years ago, and neither does Nicholas Kristof. What I do know is that Allen is a moral nihilist. This should not be taken as evidence that he sexually molested Mia Farrow's adopted daughter when she was 7 years old, or taken as a sign that he'd condone such behavior. But it does mean he espouses a philosophical outlook that renders him powerless to condemn it. This is a common criticism of secular, atheistic philosophy - its supposed impotence in the face of evil, which includes an inability to even call evil by its name. In some cases that might even be true. But is it true of Woody Allen and his art? Not by a long shot. In fact, I think a sincere understanding of Allen's art reaches the opposite conclusion, not least because Allen has himself made much fun of nihilism and ridiculed it with great comic effect in his movies. Allen's comedic and film oeuvre is not entirely distinguished or consistent, to be sure. It is often highly personal, even self-indulgently so, and documents his own evolving notions about life and morality in twists and turns that often make even his admirers seasick. And yet it is hardly what one could call nihilistic, though some of his films do touch on the subject of nihilism, most prominently Crimes and Misdemeanors, considered by many to be his best work. Without going into detail (Linker already does that) the movie's basic plot could be summarized as "bad things happen to good people, and good things happen to bad people." The key message seems to be that the universe simply does not reward or punish people on the basis of their moral worth, and that expecting it to do so is delusional and sets us up for terrible disappointments. Ben, according to Allen, "doesn't really understand the reality of life... and that's why I wanted to make him blind. I feel that his faith is blind. It will work, but it requires closing your eyes to reality." And what is reality? That "at best the universe is indifferent" to our lives and our various ways of construing right and wrong. This indifference is so awful that many of us feel driven to "create a fake world for ourselves, and we exist within that fake world." The basic notion that Allen is a nihilist stems from this view, openly expressed in interviews and his own writings, that there is no moral foundation to the universe at all, and no inherent meaning in the universe to discover or build upon. What there is, according to Allen, is a meaningless universe of infinite complexity and duration, within which human beings have the creative ability to invent meanings, to create morality, to assume a structure of meaning in the universe that does not otherwise exist, and to posit a transcendent being or person we call "God" to embody those meanings. All of that is ultimately futile, but it provides the necessary impetus for us to go on living in spite of these harsh realities. The case for Allen being a nihilist might therefore seem open and shut. Linker assumes that to be the case, and reasons that from this nihilistic view, Allen cannot rationalize away the selfish and other-destructive consequences that Linker feels inevitably come from this standpoint, which could of course include both murder and child-molestation. But he misses the very point Allen makes at the end of this interview above - that the meaninglessness of the universe is not something the artist accepts, it is something that he battles against, even if the fight is futile in the end. Here Allen lists his personal reason for living, and they are almost all artists and their works of art. All of them are people who, in Allen's view, invent meanings within a meaningless world, and therefore create beauty from nothingness. One can and even must call this a religious viewpoint, even if it is the viewpoint of a secular religion invented by men, even by Allen himself. It is not nihilistic at all, it values human creativity, art, and the ability to stand in the midst of a meaningless universe and create one's own meanings from it, even if death and decay will eventually reclaim them and return them to moral dust. One must recall the majestic opening to Manhattan, which is of sweeping panoramas of the city skyline, moving through its many architectural wonders, its people, its sculpted landscape, its humanly-built beauty, all accompanied by the soaring music of Gershwin's Rhapsody in Blue. This is Allen's Chartres Cathedral with Bach's B-minor Mass playing in the orchestra. No purple mountains' majesty for Allen, no amber waves of grain, no Grand Canyon, just the humanly created city of New York is all the evidence Allen needs to show that the meanings we create in this world can be sufficient for us. The human world and its human meanings are Allen's God, and he neither requires nor believes in anything more. This is Allen's own "Answer to Job". He concludes that if God can make something as beautiful as Tracy, he can be forgiven for all his other crimes and negligence. Not that Allen actually believes in God, but Allen's point seems to be that there is more than enough provided to us in the world to create our own meanings from, including each other. Allen also believes in evil as well. Not metaphysical evil, but human evil. Evil that goes against his own artistic values. Evil to Allen is that force which destroys the beauty and meaning that human beings have created. It is not evil because it goes "against God", because to Allen there is no God. It is not evil because the universe opposes it. Allen sees no evidence of that. The only force in the world that opposes evil, according to Allen, are other human beings, those who value the civilization they have created out of the meaninglessness of the universe. That means that human beings have to be vigilant against not just evil forces like the Nazis, but against the universe itself. Life requires a constant artistic struggle of creating and sustaining the meanings we cherish, in the face of the harsh reality of the world which does not share these values. The enemy of the artist is not merely the Nazis and other forces of human destruction, but reality itself, which is neither our friend nor our benign angelic ally, but is purely indifferent to our purposes or values. So the artist's job is to wage war against reality, and in favor of creativity. It's important to note that while Allen is no great fan of religion, he does still value it to a degree as another form of man-created art. He does not believe that God created man in his own image, but he does believe, along with Voltaire, that man has created God in his own image, and in that respect, he is to be valued. Not because God is true, but because it works for people to believe in him, the same way it works for Allen to believe in the Marx Brothers' comedy. In this respect his view is very much in line with the recent book and movie, Life of Pi, in which religion is equated with a version of events we choose to believe in, because we prefer that story to one in which the world has no God and no inherent meaning or purpose. That could be said to be Allen's own Gospel, with the creative impulse firmly placed in man's own hands. "Some people distort [the meaninglessness of the world] with religious things. Some people distort it with sports, with money, with love, with art... but nothing makes it meaningful.... [E]veryone goes to his grave in a meaningless way.... [O]ne can commit a crime, do unspeakable things, and get away with it, and some of them are plagued with all sorts of guilt for the rest of their lives and others aren't. There is no justice..."
Some might say that Allen is simply being realistic here. We have no evidence, outside of human agency, that there is some moral component to the universe that punishes bad people or rewards good people. Lightning does not strike dead the world's murderers or child molesters. "Acts of God" seem random and purposeless. If we go on the objective evidence, Allen's assessment of the universe seems like a strong one, and certainly not one to dismiss as nihilistic, or to presume that no set of moral values can emerge from that assessment. Now, it may well be that Allen is wrong, and the universe has some real moral structure and foundation to it, that is hard to discern from objective observation - that God exists, in other words. And yet, if God does exist, we have no particular reason to think that those who don't believe in God but think that all moral values and meaning are human creations, are thereby incapable of creating genuine moral values, or creating great art for that matter. But even when it comes to art, people will always disagree, and there is no absolute by which to measure art against. Those who didn't know of, understand, or believe in Newton's laws of gravity, which includes everyone in the world prior to Newton, don't seem to have much trouble walking, running, or throwing rocks and baseballs, despite their lack of belief in some abstract concept called "gravity". And yet, because Newton's concept of gravity really is a universal force pervading the whole world we live in, we don't have to believe in it to adjust ourselves to its reality. We do that already, from birth, and in evolutionary terms, all creatures have done this since the beginning of life on earth. Flight does not require birds to understand or believe in gravity or the laws of aerodynamics. Whether we believe in gravity or not, it acts on us all the same, and so we all act accordingly despite our conceptual ignorance. So if God is the reality behind the universe, he must necessarily work in a similar fashion. Whether we believe in God or not, we have already grown up within a world God created and oversees, and have adjusted ourselves according to those realities. Our theological conceptions of God come well after the fact, just as Newton's theory of gravity came well after we had already adapted to its reality. Those who differ from Newton in their views on what gravity is, such as Einstein or the modern breed of quantum theorists, are not apostates. In terms of real life, such differing views are even beside the point. None of it is going to change the way we walk or run or throw rocks. Charges of nihilism applied to people like Woody Allen often have the same lack of substance to them. There's no question that Allen does indeed have his own set of moral values, regardless of how they may differ from those of religious believers. The fact that he doesn't see the universe as containing any meaning or moral structure hasn't prevented him from trying to live what he undoubtedly considers a moral though deeply flawed and even ambiguous life. The idea that there's nothing in his world view to prevent him from molesting a seven year old girl if he wanted to is without real substance. Likewise, the notion that those who believe in a moral God are thereby prevented from molesting young children is also easily exploded, as we can see from the Catholic Church's worldwide priestly child abuse scandals. It causes me to reflect on the absolutism (sort of) of my own position on God and nihilism. I really do believe that one has to choose between God or nihilism, that there is no middle ground. Allen's career as a filmmaker shows that there is another option: art and human creativity. Those who believe in a nihilistic universe do not believe that we have to live the way that universe dictates. We can choose to create our own values, our own morals, and live within a human world, sheltered from the harshness of reality. After all, what has Allen chosen to spend his life doing in this meaningless universe of his? Making jokes and movies, when it comes down to it. And trying to find love - which he has found, in art forms of all kinds, and in some people as well. The impulse to enjoy and make art has fueled Allen's whole life. And what does that come down to, but inventing absurdities, unreal worlds that exist only in his imagination, and in words on paper, and images on film. Allen knows that his art is unreal, like everyone else's from Michaelangelo's Sistine Chapel to Orson Welles' Citizen Kane. Whether the person making the art believes in God or not, the impulse can't be ignored, because it is the only way in Allen's view that any human values can be imposed on an inhuman reality. Dreher and Linker are dismayed by Allen's more serious films, especially Crimes and Misdemeanors, which they both acknowledge as a great work of art, precisely because they think it suggests that anyone who really believes that the universe has no moral structure also has nothing that could prevent them from committing whatever crimes they think they can get away with, as the central character in the movie does. This ignores the character in that same movie played by Woody Allen, a friend of the murderous husband, who hears his friend's confession near the end of the movie. What does he advise the murderer to do? To not let his conscience bother him, and just be glad he got away with the crime? No, quite the opposite. He tells his friend to turn himself in to the police, and face the consequences of his actions. Why would Allen's character say that, if he believes the universe has no inherent justice to it? Because Woody Allen the man doesn't want to live by the harsh realities of the inhuman world that surrounds us. He loves the world that human beings have created from their imaginations, not the savage world of cruel nature, where all killers get off scot-free, but the world and culture of the city, of "Manhattan", that magical, creative land where human being make their own way, create their own laws and their own values and meanings, their own art and beauty, and live their lives as best they can until death washes it all away. He supports that whole effort, and embraces it whole-heartedly. Which means that to live in the human world, you have to face its consequences, whether they be fair or unfair. You have to submit to the creative work of developing a moral conscience, even if that has no foundation in the wider universe. In the end, even that will come to nothing, but while we live, it's the only alternative we have to nihilism and death. It's what keeps us going. 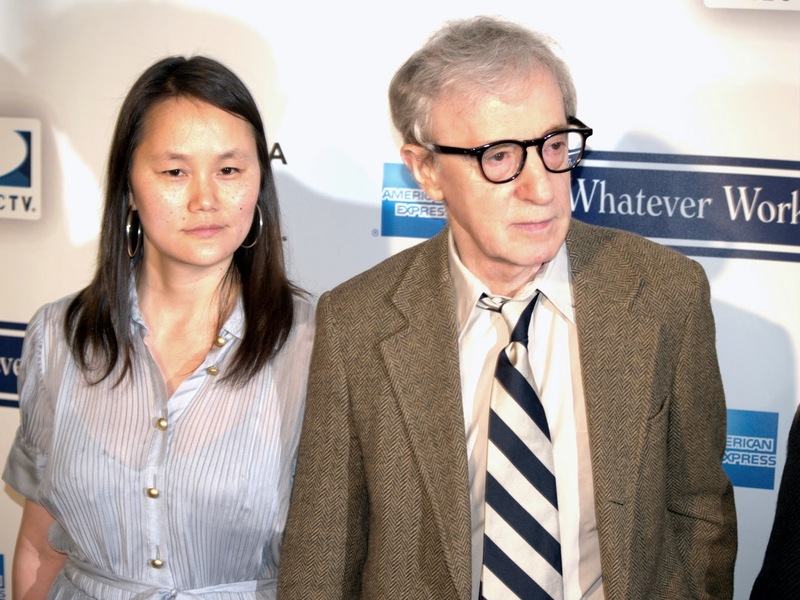 I gather that Allen feels he really has faced the consequences of his actions in life, including the scandals and opprobrium that have come to him from his relationship and marriage to Soon-Yi Previn. Obviously he thinks some of that is unfair, but I think he understands the way the human world works. One thing one can't say about it, is that it shows that Allen has no values, and only acts selfishly. What it shows instead is that Allen does not consider any human set of values or morals to be absolute, and that at least some of them can be broken for the sake of a higher set of his own values, that he may not share with everyone else. 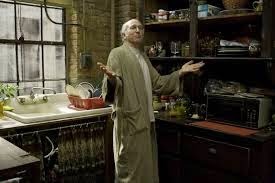 It's starkly obvious that Allen's relationship to Mariel Hemingway's seventeen year old character in Manhattan was a big part of Allen's own personal fantasy of an older, intellectually sophisticated but emotionally immature and neurotic comedian finding love with an intelligent and beautiful young woman just trying to find her way in the world. When he got to know Soon-Yi as an eighteen or nineteen year old (ironically because Farrow was worried about Soon-Yi's alienated mood, and thought that Woody should get to know her and could be a good influence on her), this fantasy presented itself to Allen as a living possibility. From most reports, Allen had just as many reservations about turning this into a sexual love-relationship as his character in Manhattan does - and that he gave into the power of his fantasy just as readily when he realized this might be his last real chance at happiness. And here's where we can see the life-level dangers of Allen's viewpoint. Rather than taking the common boundaries that most of society accepts on who we can fall in love with as inviolable absolutes, Allen saw them as adjustable mores that should not prevent him from pursuing his fantasy into reality, even if it turned his own strangely concocted family against him. And we have to remind ourselves that all of Allen's love relationships, including those with Farrow, her children, and the children he shared with her (none, as it probably turns out, biologically his), were self-invented and adjustable patterns with few of the ordinary boundaries of the traditional family. Allen never lived with Farrow, who was not much of conformist herself. By her own admission, she carried on an affair with her former husband Frank Sinatra throughout the relationship, likely even conceiving her son Ronan through him, and yet passing him off as Woody's son. 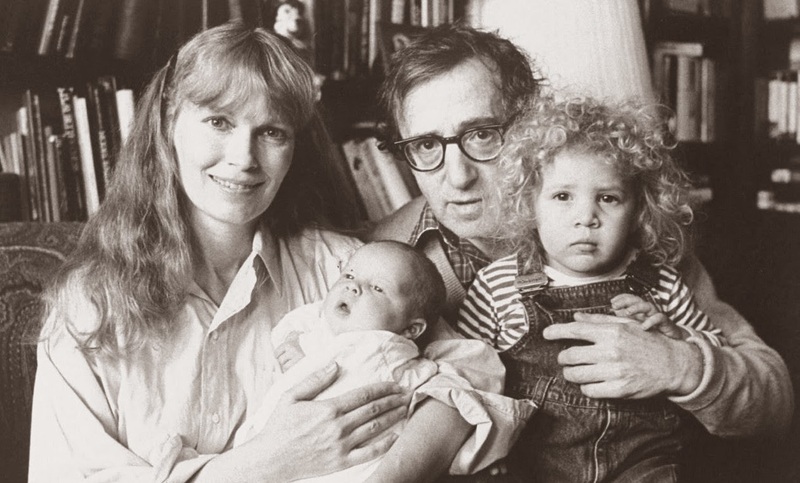 Likewise, Allen had relationships with women during the time he was with Farrow, and in the later years their relationship became strictly platonic and kept alive only because of the adopted children they shared. All of this was highly unorthodox in the eyes of the wider society but easily accepted within the liberal artistic New York set they both traveled in. What Allen learned was that this liberal artistic set had its own rules of culture and family, and many could not abide by Allen's decision to have an affair with Soon-Yi. For many, that was a bridge too far. Farrow herself turned out not to be as open-minded as Allen might have hoped, and went on a rampage that ended up with either the fabrication of charges of child-molestation against Allen, or the exposure of his hidden life, depending on what the reality behind Dylan's story actually is. The truth of that matter depends entirely on facts unknowable to the rest of us, but the notion that Allen's art reveals a depraved, nihilistic character capable of committing acts of child-molestation without any sense of conscience or remorse, and then trying to get away with it, is simply not tenable. A strong case can be made from Allen's art that he could justify having an affair with a much younger woman whom he felt to be the true love of his life, and even taking that as far as marriage and raising a family with such an unlikely wife, even if it meant bringing down disgrace on himself and alienation from his then oddly composed family. But that is a very far cry from child-molestation, which both Soon-Yi and Allen vehemently deny was ever a factor in their own relationship, or with Dylan. If Allen was indeed a child-molesting predator, he kept that secret not only from all who knew him both before and since, but from his own art as well. The question as to whether Allen's world view could condemn a child-molester is, I think, easily answered by Allen's own art, which rejects the realities of the meaningless world of stark nature, and embraces instead the meaningful world of human and artistic values. Allen's world view does not allow child-molesters to get away for the same reason that it does not allow murderers to get away: because we humans create values for purposes of our own, and the primary value in Allen's world is to not hurt or destroy the innocent, the beautiful, or the creative impulse in man. Whether Allen had deeper, darker urges that superseded these values in some depraved moment with Dylan, we will probably never know. But we do know the man's image as reflected in his art, and that image is not of the child-molesting conscience-free narcissist. It is a deeply ambiguous and compromised character, to be sure, capable of making choices that scandalize and alienate those close to him, but within certain limits of his own making. Perhaps that personae is a lie, or not the whole truth of either the artist or the man. 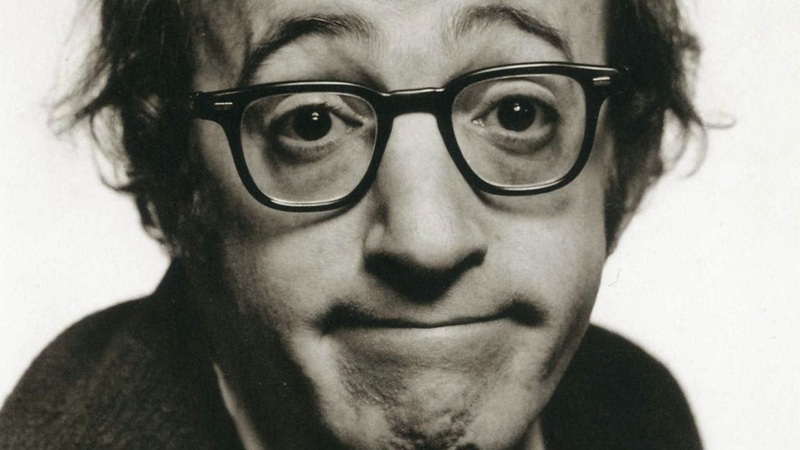 I have a hard time imagining the comedian, filmmaker, or actor molesting a child merely from knowing his art, but anything is possible - and not because Allen is a nihilist, but because he is a human being, that most complex and creative of all creatures. Rod Dreher, an expert on the great matters of human existence - oh puleez! In my opinion the most nihilistic movie of recent years is introduced via these images, where the "hero", representing ever single living-breathing-feeling human being, and humankind altogether is systematically beaten to death. This unspeakably vile sado-masochistic snuff-splatter movie was hugely popular with right-wing and/or conservative Christians at the time. Naomi Klein describes the same phenomenon in her book The Shock Doctrine.